Posted on March 18, 2014, in Thriller and tagged Drama, Gadon, Gyllenhaal, Horror, Laurent, Thriller, Villeneuve. Bookmark the permalink. 45 Comments. Maybe it will be on my cable provider’s…!! Great review, man. One of my most anticipated films of the year and so glad to see it’s good! Villeneuve is amazing; loved Incendies and Prisoners. Jake Gyllenhaal’s performance in that one was my favorite supporting turn of 2013. Superb and so, so underrated. Thanks so much, Fernando!! Your anticipation of this flick is well placed. An excellent flick! 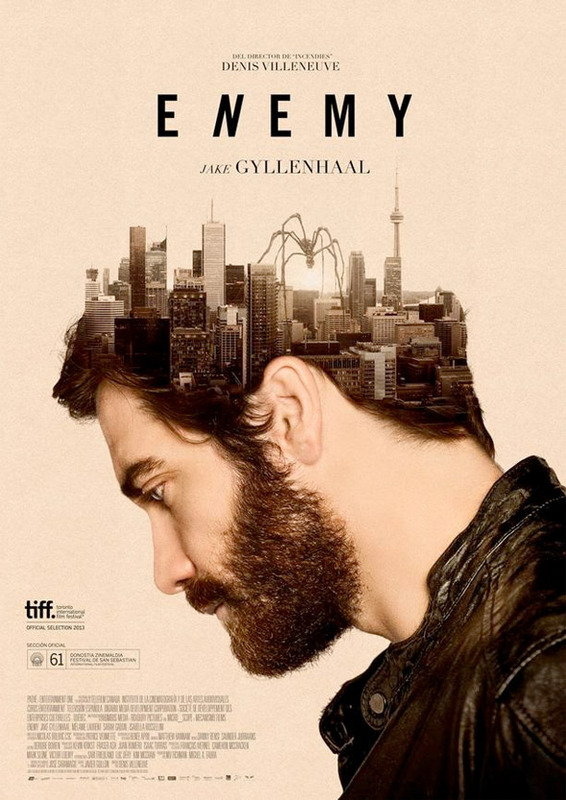 If you’re a fan of Gyllenhaal and Villeneuve, you won’t go home disappointed. Easily my favourite film of 2014 so far :). That’s high praise! Can’t wait to see it. Gyllenhaal deserved an Oscar win, let alone a nomination, for his job in Prisoners. Still haven’t seen Prisoners! Not a big fan of its premise, length, and Jackman, or Howard for that matter. I do love Gyllenhaal however, and Jackman is outstanding in The Prestige, which is one of my all time favourites. I’ll give it a chance, hopefully this weekend :). Yeah, it’s a bit overlong but pretty solid. Howard is very good but Jackman and Gyllenhaal are just superb. 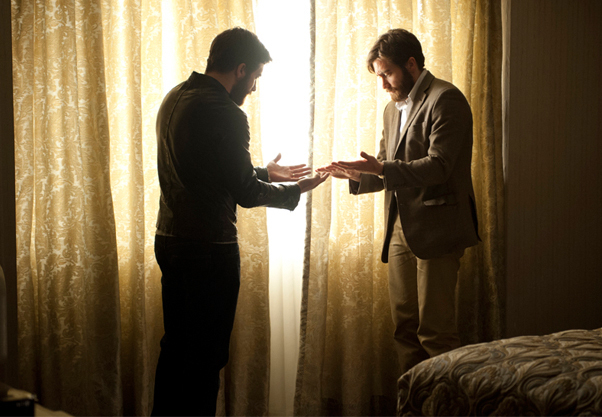 They give their best performances EVER in Prisoners, so I hope you see it soon. Thanks bud :). I know what you mean, this flick is my type of film, an outstanding slow-burning thriller! I can assure you its potential has been proven! An excellent flick, I’m sure you’ll love it :). Thanks! Looks fantastic. Love this kind of movie. Love that poster too. Great review Joseph. Thank you so much!! A terrific film with a fun, intriguing poster, and awesome cinematic elements. I’m sure you’ll love this one :). Great review! There’s a film coming out soon in the UK (and maybe elsewhere) called The Double, starring Jesse Eisenberg as both a man and his doppelgänger. Weird timing, eh? I know, right?! I’ve got no interest in seeing the Eisenberg flick, but this film is phenomenal!!! Great review man. I had heard absolutely nothing about this until I stumbled on the trailer the other day. Really excited for it now. I bloody love that poster as well. Thanks!! Your excitement is warranted, my friend :). This flick is phenomenal, I’m certain you’ll love it! Such a high score! It must have lived up to expectations then! Absolutely brilliant review Joseph. I hope we get this sometime soon, I must say I have been looking forward to it. Sold on Jake Gyllenhaal alone! I even contemplated giving it an even higher score, but settled with a score that’s irrefutable. I don’t know how to put it, but, this movie felt like it was made for me. Combining everything I love into a movie lol. No, I haven’t watched it, I will get on it this weekend :). I shall report back to you first with my thoughts ;). Thanks Zoe :). Oooooooooh high praise Joseph… Now I have to know too! Awesome! It’s not for everyone, but I’m sure cinephiles every where will be able to appreciate and love this one :). Awesome I will tell you what I think after I see it! Looking forward to it :). Awesome write up mate. This is the second hugely positive review of this I’ve read. It wasn’t really on my radar at the start of the year but I’m definitely going to keep an eye out for it. Thanks a bunch :). Yeah, lots of praise for this one, and deservedly so! Be sure to let me know what you think when you get the chance to catch it! Seriously? Who gave it such a bad review?! I’ve read nothing but praise. Watch this movie! I just crossed over to Canada to see this at Windsor tonight and I was not disappointing. I’m still trying to unravel it, but I developed a pretty solid theory during the last 10 minutes. Would be interested to hear your thoughts but I wanted to keep this comment spoiler free obviously! I’ll be reviewing it tomorrow. That’s insane! You came to Canada to watch this flick? How far exactly? If you don’t mind me asking :). I’ve got my theories as well, look forward to checking out your take when you post the review! Oh it’s not nearly as crazy as it sounds – I work downtown Detroit, so it only took me 25 minutes to get to the mall in Windsor. But I’ll just tell people that I went all the way to Canada to watch a movie and leave it at that. Sounds cooler! I’m really interested in this one and I’m a big fan of Melanie Laurent. She is an actress who I would love to see get bigger roles and more recognition here in the states. Laurent is really good here, albeit in a limited role. She does contribute to the excellence of this film as a whole though, I think it’s definitely worth you checking out! Okay! Done! I’m going to travel further to see this 😉 Looks way too awesome to miss! 🙂 Awesome review! LOL. Oh no! I don’t want to be held responsible if you don’t like it, Kim ;). Thanks!! I’d never do that! 🙂 I trust your tastes. Thank you Vic for always stopping by :). The poster is so cool, but the flick is all the more awesome. Really hope you get to check this out soon. Look forward to reading your thoughts on it :). I have a bud who gets a ton of Screeners and I’ll ask him if he has a copy. I hope to track it down somehow. It isn’t playing where I live. Thanks again! Beautifully written! I saw the movie last night, loved it, but it’s making my brain hurt. I’m writing my theory on what happened and I’m continuously going ‘oh, wait, but…’. Such great puzzle. Thank you :). So thrilled to hear you loved it as much as I! Definitely makes your brain work and requires some post-viewing reading, that’s for sure. I’m looking forward to reading your write-up! Excellent review Joseph. I was surprisingly impressed with Villneauve’s Prisoners last year but this one sounds even more up my street. I love these types of film where you really have to use your noodle. Count me in! Can’t wait to see it. Thanks Mark!! You definitely need to use your noodle for this one ;). I haven’t seen Prisoners yet, but I’m thinking I’ll enjoy it. Definitely give this one a go :).